What Garden Do You Want? 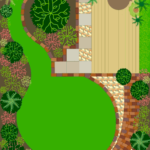 Designing a garden that’s perfect for you and your family is one of the most enjoyable aspects of landscaping. Whether you’re faced with a bare plot of land or a tired space that needs revamping, this is where you can combine your wants and needs to create a space that’s truly your own. The basic rules of design apply to exterior spaces just as they do to interior spaces. Perhaps the most important rules are those of proportion and scale. The various parts of the garden should work well with one another as well as with the overall space. Two other important considerations are symmetry and rhythm. Symmetry is created by balancing matching or similar features in the space. By repeating elements, whether plants, hardscaping, or decorative accents, you create a sense of rhythm. Also don’t overlook the importance of focal points and accents. Focal points, whether they’re plants, decorative elements, or views, highlight specific areas of the garden. Accents add pops of interest throughout the space. Before rushing to the nursery or lining up a landscape contractor, take the time to look at what you have and how you want to use your space. Start with a wish list. Write down all the ways you wish to use the space, even if they seem to clash. Your list might include a play space for the kids, a dog run, an area where adults can relax, a spot for grilling, a cutting garden, and fruit trees. Think about amenities such as an outdoor kitchen, fireplace, or water feature. Also think about the practicalities, such as where you’ll keep the gardening tools and the lawn mower. When you know what you want, it’s time to decide how it will work in your yard. Start with a basic plan of your yard. Although you don’t need a professional blueprint, take accurate measurements of all parts of the space so you can create a scale drawing. Once you have the basic outline of your space on paper, indicate areas of sun and shade, as well as other factors such as prevailing winds, wet and dry soil, and high or low spots. This is a good time to determine your soil type and make plans for adding amendments if your soil is excessively hard or loose. If you have any features you want to highlight, such as a view, or that you want to hide, such a neighbor’s windows, indicate them on the plan as well. Also note existing features that you want to keep. Remember that climatic factors change throughout the day. Areas that are sunny in the morning may be in deep shade by afternoon, or vice versa. Sun patterns also change with the seasons; in summer, the sun is higher and casts less shade throughout the day. Winds may be stronger in the afternoons and evenings, or in spring or summer. Soggy areas in winter may be fine for planting in spring through fall. You’ll also want to find out about any government or homeowner regulations that might affect your plans. With this base map, you can begin to plan your space. The easiest way is to place tracing paper over the map and try out different configurations. Many professionals recommend starting with simple bubbles, or circles, to indicate features or activity areas. Think of your outdoor space as a room or a series of rooms, and match the function to the location. A consistently sunny spot is ideal for a swimming pool or vegetable garden but may be too hot for a sitting area. You may want the entertaining area to be close to the house for easy access to the kitchen, or you may be willing to forego that to have it take advantage of a wonderful view at the rear of the property. The play area may be next to the lawn, while the garden shed is hidden in a neglected corner. Try a variety of configurations; you might be surprised at what works best. 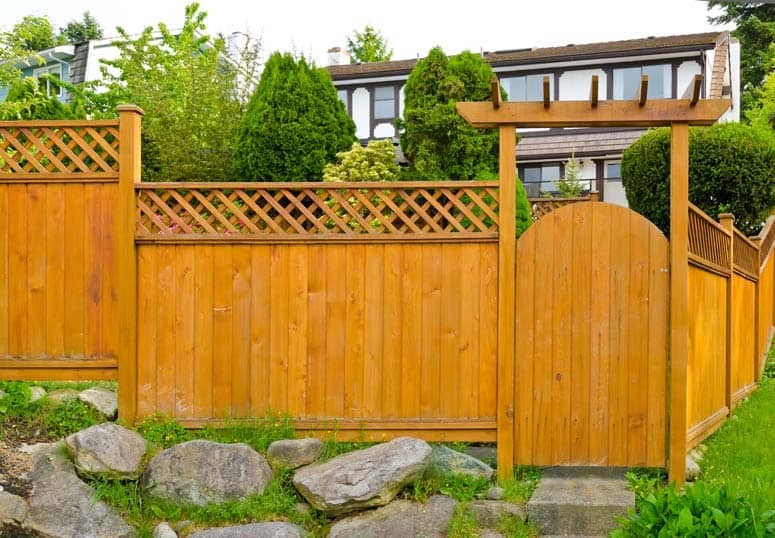 Today’s smaller yards often don’t allow the luxury of areas devoted to a single purpose. Even so, it could be possible to create any number of functions in a small space. Consider doubling up: Combine the grill and fireplace with a seating area; mix flowers and vegetables in raised planters that also serve as walls for a patio or deck; cover a child’s sandbox with a wood top that becomes a deck and seating area. Also look for nooks and crannies to make a difference: A simple bench with pillows tucked to the side of a patio can function as a retreat; raising a deck just a step or two provides additional seating along the steps. Once you’ve decided what goes where, make a final map. 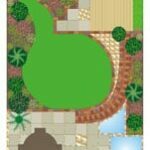 Change the bubbles to specific outlines of the features, such as the size of a patio or the exact curve of a garden bed. If you’re unsure about how things will look in real life, use props like stakes, chalk, gypsum, or folding chairs to lay out areas in your garden and then make adjustments. The final step is deciding on materials, plants, and decorative accents. Take ideas from gardening magazines, garden tours, home centers, nurseries, building suppliers, and the Internet. There’s a wide range of materials available to fit every garden style and every budget. Consult these same resources to find out what plants will work well in your area. 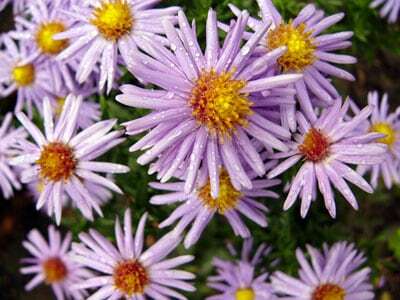 Even if a plant may not thrive in your location, you can usually find substitutes that will work well. Lastly, look for the final decorative touches that make your garden unique. Garden furniture is the obvious starting point, but also look for containers, lighting, and water features. And don’t forget special touches like birdhouses, colorful walls, and even art.